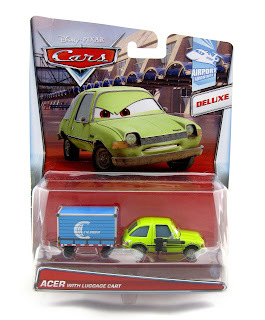 From Cars 2, here we have another brand new Mattel 1:55 scale "Deluxe" diecast release...Acer with Luggage Cart! He is part of the 2015 "Airport Adventure" sub-series (#3/6). 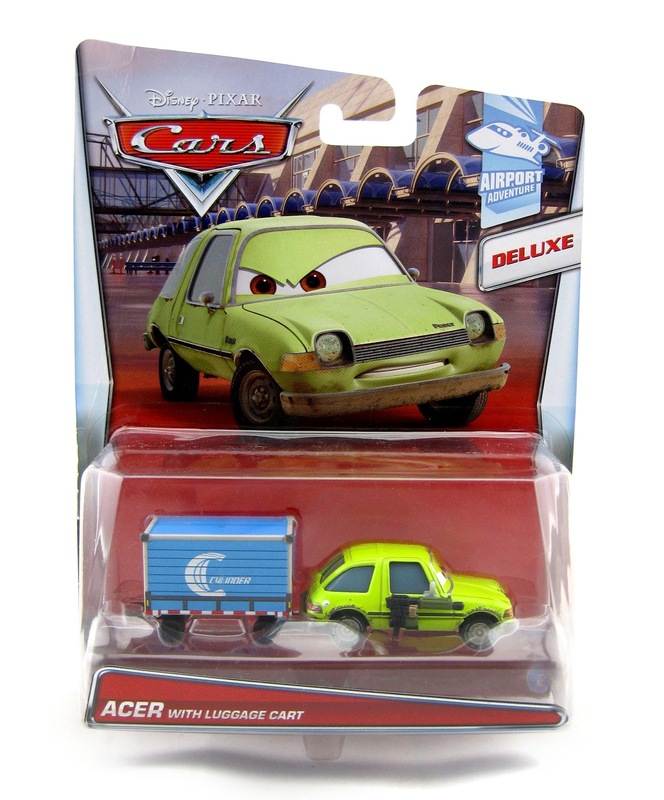 Many versions of Acer have been released over the years, but this is the first time we've gotten him with an attached weapon and a luggage cart. Only a plastic "Quick Changers" version of Acer (seen HERE) has had a weapon up to this point. As shown in the screen shot above, Acer can be seen at the Tokyo airport (along with Grem; see his release with weapon HERE) when they are chasing Finn and Mater down the runway. This is a great diecast for scene building! This is an awesome diecast with a very cool and unique accessory. 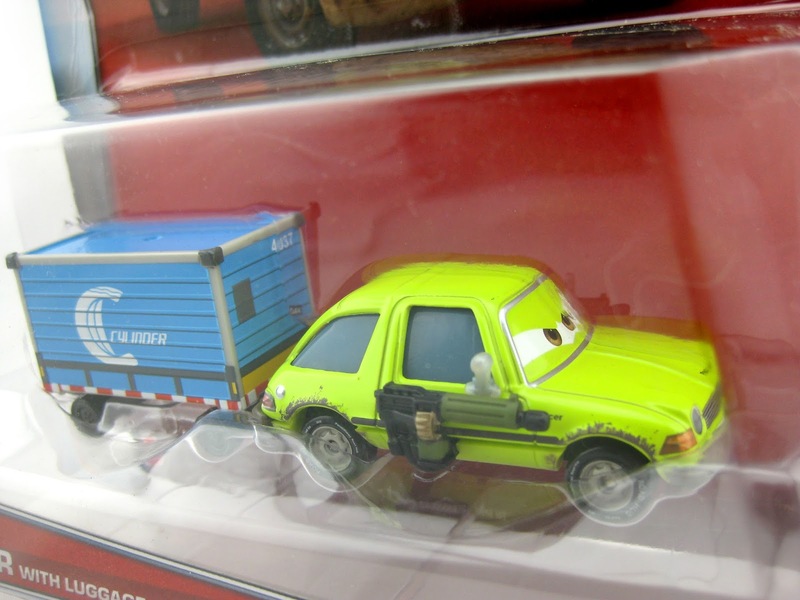 I love when oversized cars include "props" from the film! They're great for creating scene specific dioramas. If you looking to add this one to your collection, be sure to check your local stores for availability If you'd rather just find him online, visit Amazon by using the direct link below! Good luck on the hunt.